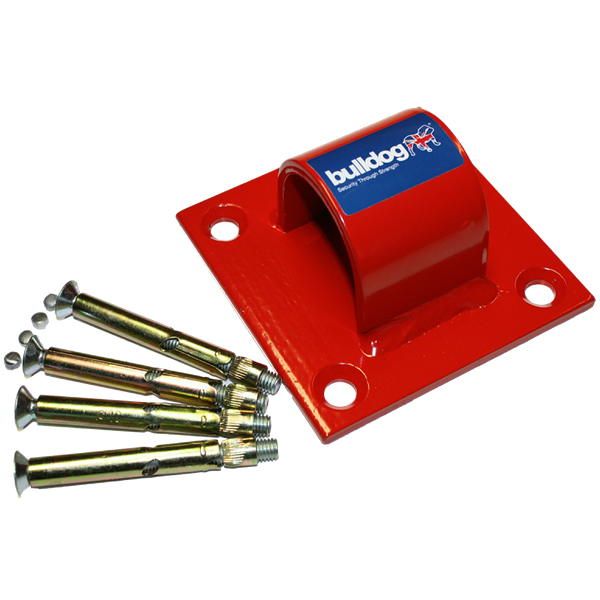 This MC25 Bulldog Wall / Floor bracket is ideal for securing your bigger, high value items such as lawnmowers and motorbikes. It can be fitted to walls or floors, where a chain can pass through the 6mm thick welded steel loop. The bracket comes supplied with a reinforcing plate and 4 x 80mm M10 fixing screws for assembly. The highly visible red powder-coated finish acts as a deterrent to would-be thieves.